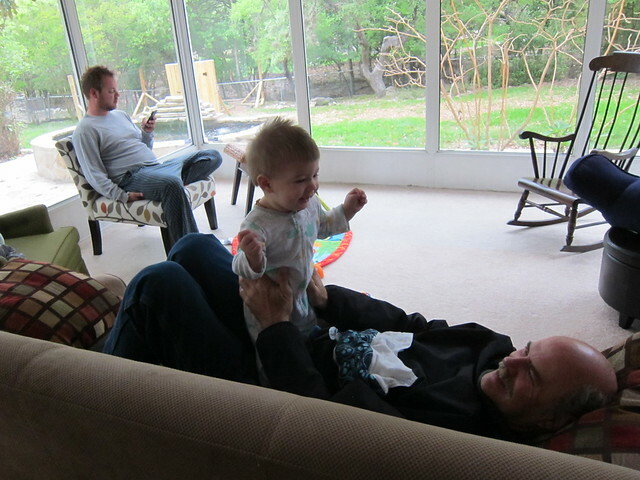 For your first Easter your grandma and grandpa came down to see you. 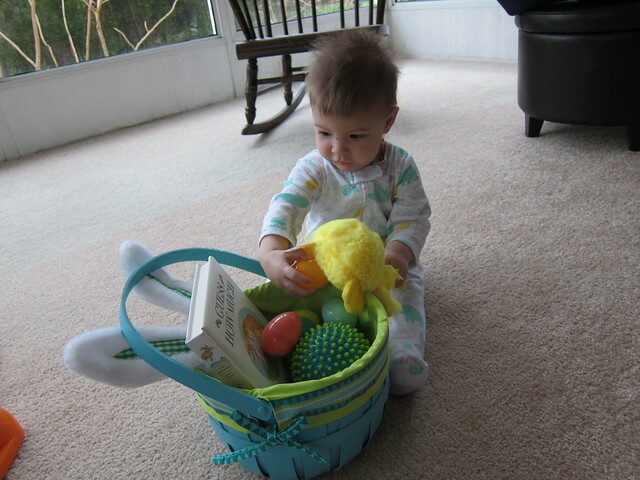 The Easter Bunny also brought you a basket of goodies. You can't have chocolate just yet and so he brought you eggs filled with puffs. 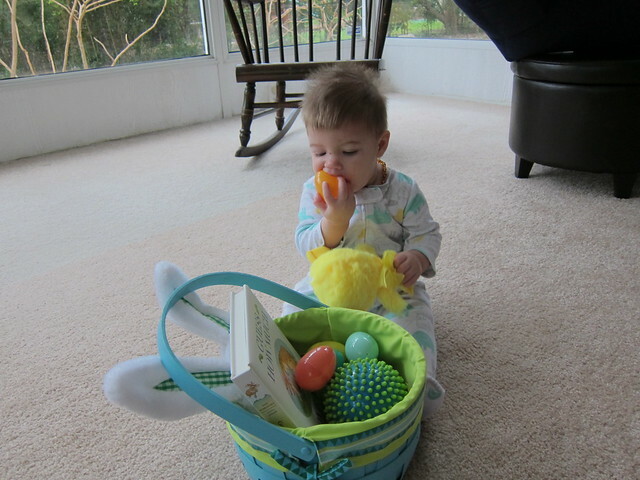 He also left them all in your basket since you don't know how to search for eggs just yet. 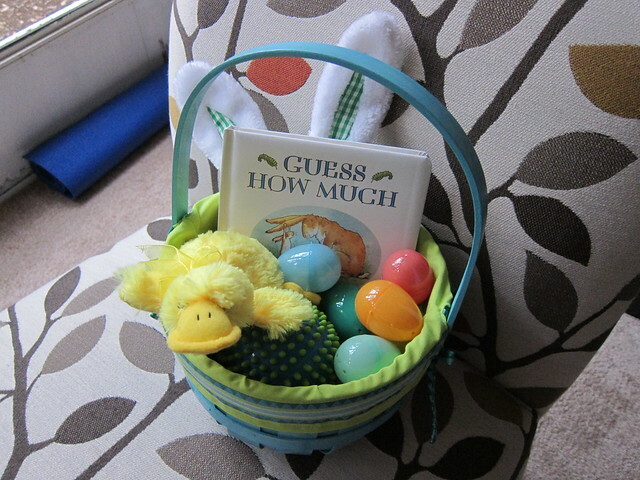 It took you a little bit to figure out there were puffs hiding in those eggs. 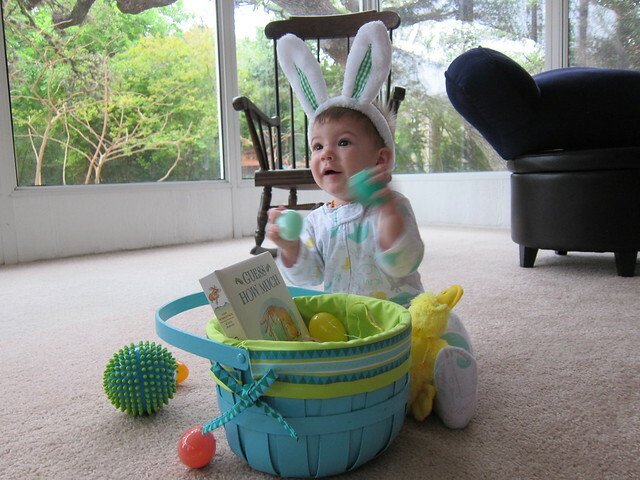 Mom made you wear those ridiculous (but absolutely adorable) bunny ears. 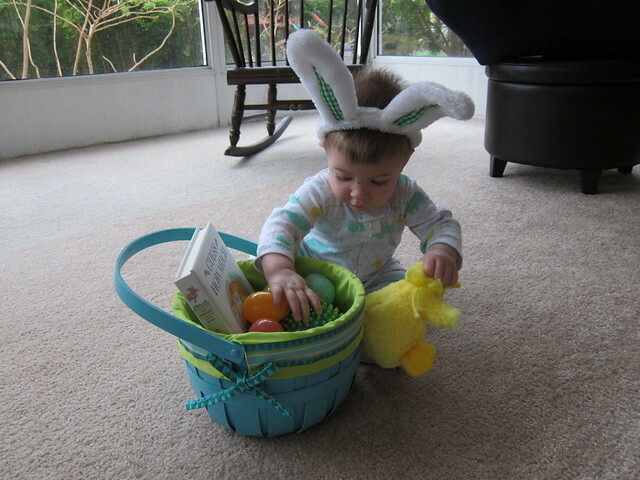 Happy Easter to you too Bud. 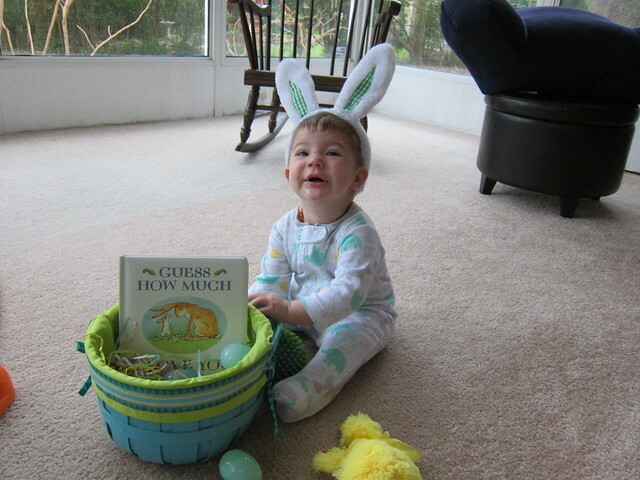 I can't believe you got him to pose with the rabbit ears on! Win! He's a little ham for the camera!